The vendor recommendations passed along on this Web site (hereinafter "Information") are presented in good faith and provided as a convenience to the Sundance homeowners. The Sundance Homeowner’s Association makes no representations or warranties as to the qualifications or licensing of the vendors listed. Nothing contained herein is to be construed as a Sundance Homeowner’s Association recommendation to use any service, product, process or equipment. The Sundance Homeowner’s Association does not necessarily endorse the views and recommendations expressed within. The information shall not be taken as endorsement of any kind. We cannot guarantee that these services will perform to anyone’s satisfaction, and we have no control over the accuracy of the recommendations. Information is supplied upon the condition that the persons receiving same will make their own determination as to its suitability for their purposes prior to use. In no event will the Sundance Homeowner’s Association be responsible for damages of any nature whatsoever resulting from the use of or reliance upon Information or the service to which Information refers. NO REPRESENTATIONS OR WARRANTIES, EITHER EXPRESS OR IMPLIED, OF SERVICE, MERCHANTABILITY, FITNESS FOR A PARTICULAR PURPOSE OR OF ANY OTHER NATURE ARE MADE HEREUNDER WITH RESPECT TO SERVICE OR PRODUCT TO WHICH INFORMATION REFERS. If you have a vendor you would like to recommend please send vendor information and a brief statement on why you recommend them. Send this to the Sundance webmaster Raul Reyes at raul.reyes@sundancehomeowners.com. All listings are posted at the discretion of the Website Committee. Comment: He inspected my air conditioner, lives here in Cerritos. Insured, licensed and bonded for Air conditioning & heating, plumbing, general contracting. Comment: 24 Hour Animal Service. They pick up dead animals, etc. Comment: Found a local guy - Nick - who has been working on apppliances (stoves, microwaves, washers, dryers, frigs, freezers, dishwashers)for 30 years. He also works on air conditioners, but no garage doors. Comment: John did an excellent job. He saved me at least $1,000 by altering the blinds instead of replacing them. Cabinet Experts & Design, Inc. Comment: Bob Hoffman is highly recommended for re-facing older cabinets and making them look like new, and new cabinet construction and installation. Don's Cabinets & Design, Inc. Comment: The owner, Alex Zamarripa is very experienced and professional. He was very helpful with ideas for our kicthen and bathroom remodeling and was very responsive in addressing our questions and concerns. He finished on schedule and we were very satisfied with his work. Highly recommended. Comment: Retired Firefighter Orange County, 28 Yrs Family Owned. I have used (this vendor) and they have brought my home to the 21st century and WOULD HIGHLY RECOMMEND (THIS VENDOR) TO HOMEOWNERS. Comment: Did an excellent job on laying concrete on small and large patio with brick inlays. Work was started on time and finished on schedule and is reasonably priced. Comment: I would like to recommend AA Glass and Window, who did a wonderful job on my windows. Comment: Window Factory, best price, lifetime warrenty, and excellent work. Comment: Installs windows, doors, moldings. Excellent work, honest. Has done several installations in Sundance. (Commercial and Residential), License #499488. Julie: receptionist, Eric: Mgr for Residential. Comment: Eric is very professional, great at troubleshooting, punctual and very knowledgeable!! Comment: As a result of a ceiling leak and IF I was going to file a claim with AAA insurance, an official asbestos report was needed. Since our units are older, I figured I might as well have the report done and I would have it for my records. The cost was reasonable and in addition to the ceiling, I had them also test the walls for asbestos and the paint for lead. I would highly recommend this company. They have 3 offices from Westlake Village to San Diego and representatives that live locally. Comment: I noticed a spot on my ceiling and contacted my AAA insurance. American Leak Detection determined I had a leak coming from the guest bathroom. They were so professional and reasonable I had them do the pipe repair and did not file a claim with AAA insurance. Garrett Bishop did the detection and the pipe repair. Great representative of the company! See Chem-Free on the Useful Information web page. Comment: These guys were fast and efficient and priced right. Comment: Henry installed hardwood floors for us which we bought through Home Depot, and he did an excellent job. I have never seen a harder worker. Comment: Dewitt Aden is highly recommended to install floor tiles. Recommended by: Arlene Valdes, Peggy Paddock and Henriette Koerselman. Comment: Brian Cooke is the owner and the sole employee. He's been in the garage door business for 14 years - 4 years on his own. I asked him about a new garage door opener and he recommended that I keep it until it dies, as opposed to him trying to sell me a new unit. He was personable and I will call him again. Comment: He is licensed and very knowledgeable. Comment: He’s a local person who lives in Seal Beach. He’s put in recessed lighting, recalled a shower, installed shower heads and faucets. Does everything, does good work and is very personable. Comment: For David Wilson, Terry has done plumbing and electrical repairs for us. He also installed over 500 s.f. of hardwood flooring that looks beautiful, and at reasonable cost. He also does kitchen and bath remodels, as well as painting and masonry. For Peggy Paddock, with the exception of cabinet and contertop installation, he did her kitchen remodel, which included crown molding, under cabinet lights and mounting the TV on the wall. He has also worked on some balconies here at Sundance. Comment: He does carpentry, plastering, and general home repairs and upgrades. He did a very good for me at a reasonable cost. 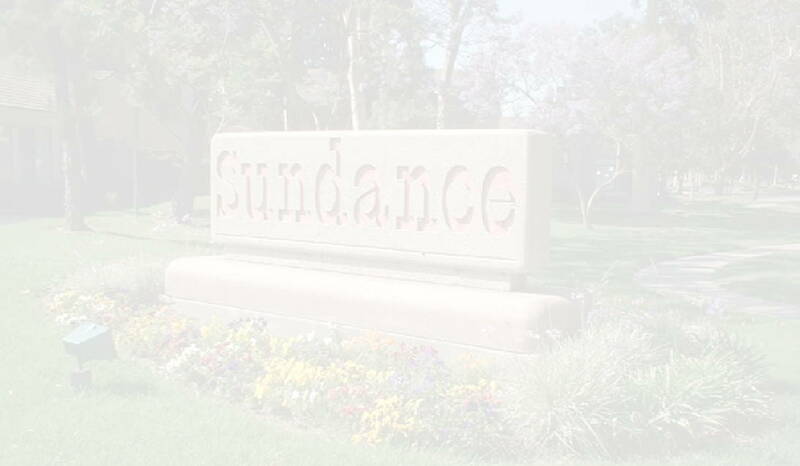 Comment: The owner of the company's mother owns a unit here at Sundance. This is also the locksmith that is use at Sundance. Comment: Local to Cerritos. Prices are good, service is immediate. See Vista Paint on the Useful Information web page. Comment: 24 hr emergency service (no extra charge). Comment: In addition to doing quality work, they are friendly and courteous, easy to work with, reasonably priced and very accommodating to meet customer's needs. Best plumbing company we've ever worked with! Comment: I would recommend DIRT BUSTER WINDOW WASHERS as they do a wonderful job of washing my windows for the past 4 yrs and other residents on my street. 2007 Sundance Homeowners Association All rights reserved. Material in this site is to enhance communication within the community. The information in this site is not to be used as official rulings or documentation.